American soccer player Haji Wright hopes to make an impact for FC Schalke 04 of the German Bundesliga next season. 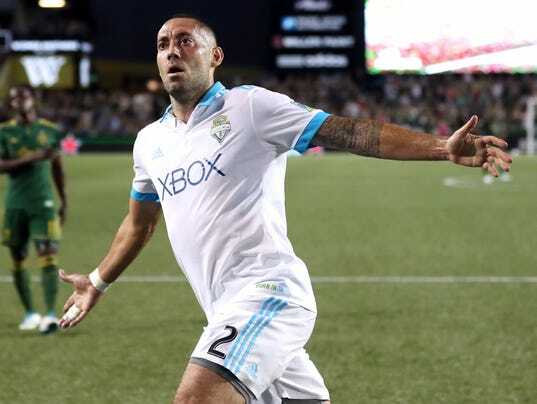 PORTLAND, Ore. (AP) — Clint Dempsey scored in stoppage time and the Seattle Sounders pulled into a 2-2 draw with the rival Portland Timbers in a Cascadia Cup match on Sunday night. Fanendo Adi scored his 50th career goal for Portland and Dairon Asprilla added another at the end of the first half to give the Timbers a 2-1 advantage until Dempsey’s late equalizer. The Sounders, who took a 1-0 lead in the 27th minute when Joevin Jones scored on his own rebound, played a man down after Brad Evans was sent off with a red card in the final minutes of the first half. Seattle is winless in three straight games.